Lee has been a financial adviser for for almost 17 years. He is currently working towards Chartered Financial planner status and holds AF3 Pension Transfer Specialist accreditation. Lee’s key strengths are providing sound advice, both business and personal, in a language that is clearly understood by the end client. This is recognised in the longevity of the client relationships that have been built up and retained, since first becoming a financial adviser. Lee enjoys socialising and spending time with his family. He occasionally joins the “MAMIL” brigade, but usually as a mode of transport to the local country pub. Brian has worked in the Financial Services sector for almost 30 years, having trained to be an accountant he went on to be an independent financial adviser with Midland/HSBC in 1992. Whilst at HSBC he became the offshore specialist for the South East, returning to giving advice to high net worth individuals, charities, businesses and their owners. Working with other professionals to provide long advice, many of Brian’s clients have been working with him for almost 20 years. Brian is a bit of a workaholic, but has found time to player manage the same football team since 1990, having played in almost 25 countries including Brazil. He is a level 3, UEFA B coach and has worked with many high profile professional footballers. Brian is a passionate QPR fan and along with his daughter has held a season ticket for over 35 years, which shows he can see the funny side of life! Matt has been giving financial advice for over 20 years. Starting his career within Midland Bank before moving through the ranks with HSBC. Matt puts the clients experience at the heart of everything he does and gives strong financial advice along with an exceptional client experience. Matt is studying towards being a Chartered Finacial Adviser. Married with two young boys. His weekends are filled with Rugby and Cricket. He is a keen golfer and a season ticket holder at Leicester Tigers Rugby Club. He is a big lover of live sporting events. Tim has been a financial adviser for over 25 years. He became an associate of the Chartered Insurance Institute (ACII) early in his career and is now also a chartered financial planner. 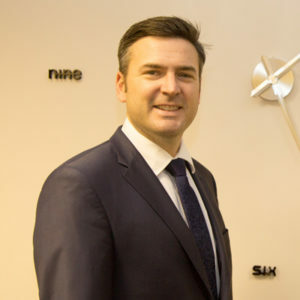 Tim Maintains the same enthusiasm and dedication to financial planner for his clients that he had in his ‘younger days’ and derives great satisfaction from witnessing clients own success and progression in both their business and personal lives. Aside of family time Tim spends (too much) time watching football and occasionally playing still, skiing and golfing; often reckoned to have the worst golf swing in Europe by playing colleagues!